Today is a very special day indeed. Not only is it the first day of Prospect Development Pride Month 2016, but I’ve got a special treat for you. What’s #ResearchPride? Well, it’s a movement started two years ago on this very blog with my article, Coming Out. It was the result of a meeting of chapter leaders at APRA headquarters where we discussed the importance of advocating for our profession, and discussed strategy for ways to do that. This month, bloggers in the US, Canada, and Europe are joining forces to share our pride and perspectives about prospect development and our profession’s impact on fundraising and philanthropy. My job today is to point you to those great blogs so that you don’t miss the insights they have to share and the conversations that will be happening this month. I hope that you might find a new-to-you voice to learn from, share with, and connect to. 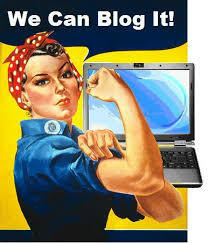 Or perhaps become reacquainted with a blogging colleague you’ve lost touch with. Either way, this month is going to be all about pride in our profession, sharing knowledge, and finding ways to advocate our value and impact. I invite you to join in the conversation by reading and responding to the articles. Discuss them with colleagues, share them on social media, and use them to help you in your career. Add these great bloggers to your RSS feed or email list, and let me know if there are others that I’ve inadvertently left off. Propelling pride into action, APRA-C’s past president Krystal Wilson shares 6 top tips for advocating and making your impact known in her post Show Your Pride. APRA-IL board member Elisa Shoenberger shares her perspective on what #ResearchPride means to her. APRA Mid-South’s president Sabrina Latham provides a fun peek into how her prospect research skills enrich her everyday life, not just her life at work. Sarah says “prospect development is the landscape upon which philanthropy, technology, curiosity, and innovation converge” in her #ResearchPride post. Yes indeed! Instead of having to “do more with less” all the time, Mark discusses how nonprofits that have prospect research are actually Doing More With More. Research Pride is evident on the other side of the Atlantic with this post from Chris Carnie on the deep impact that prospect development professionals have in Europe. Jen shares her journey of discovery as a research consultant in #ResearchPride, Advocacy and Me. Stephen’s love letter to prospect research injects a new incantation into our field that’s just magical, and in the process shows where he (and we) would be without it. Sharon doesn’t have a regular blog, but she was moved to share her #ResearchPride on LinkedIn, with her great post Five Reasons Why My Work-Life As A Prospect Development Professional Is Totally Awesome! Marianne proves that the apple doesn’t fall far from the tree in a proud homage to her dad, a Cold War spy in My Bourne Identity. Ben shares a beautifully researched, elegant, and informative article, normally around one a month. His #ResearchPride offering is a solid argument on the impact of prospect research in the United Kingdom and beyond. In Marissa’s first-ever blog post, she shares her journey of discovery and how she fell in love with prospect development. Armando Zumaya – Although not specifically written for ResearchPride month, this LinkedIn post from the perspective of a chief development officer certainly qualifies! BONUS: APRA Connections is the members-only publication of APRA international. APRA’s Best of Connections 2015 issue is now available and free to all.